A wide variety of literary characters lined the walls of the MLK library during October. Visitors included Grover, Father Dumb Bunny, the girl with a bad case of stripes, and the Minions from Despicable Me, to name a few. 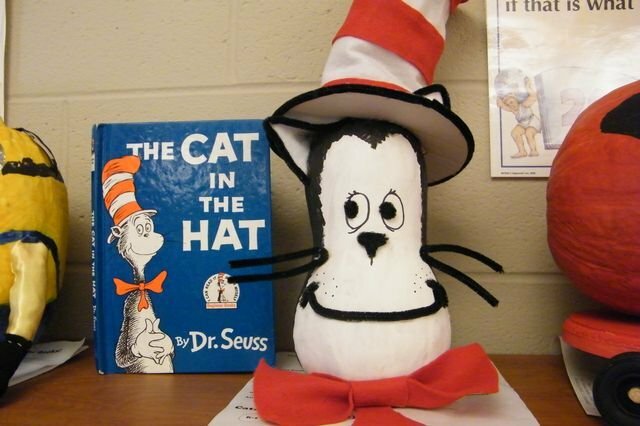 These beloved book characters were fashioned from pumpkins by students and their families. Mrs. Veronica Barbee, MLK librarian, challenged students to decorate pumpkins and enter them in the school contest. All entries were displayed in the library and prompted lively discussions on children's book titles.